Manufacturer of scaffolding and scaffolding experience of industry knowledge, we are the largest port of Chennai, India. Our company supports the service, support, accessible and effective techniques to provide a scaffolding platform for international companies, large corporations and industry to ensure a good way. The mass production of scaffolding products, ranging from images of scaffolding, ladders and scaffolding to respond to aluminum, etc., and the company to meet the needs of all sectors. 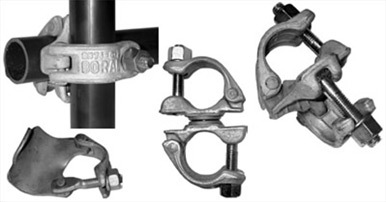 We also have accessories such as scaffolding complex: - Avatar Props, necklaces dock area of bars at right angles, Swivles, sleeves, single and Gravloc. Tubular scaffolding and Mercury being Cuplok, tack boards, Pittsburgh, towers, stairs. Manufacturers of scaffolding still committed to providing unprecedented display timber. We will continue to excel in our chosen field of work and then try to lead us into the pipeline industry. The industry is our scaffolding (on request), in which all our towers and scaffolding or access to the labels and definitions of the right to security and management. Small orders to large orders, it is our duty to our customers in our service. Call us for more information, visits and offers. Our call-out service is available 24 hours per day. We'd like to meet at your convenience.